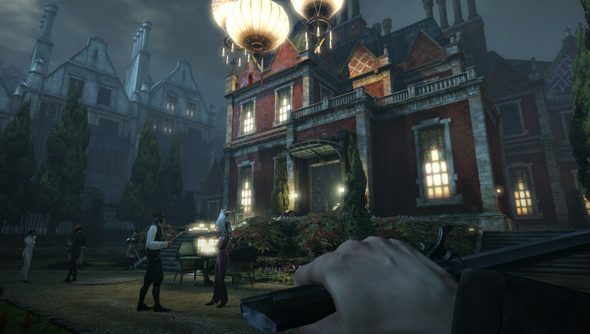 The Dishonored devs have been speaking to GI.biz about videogames. Their videogames versus everybody else’s videogames, to be more precise. To be even more precise: the way their games work in direct contrast to the Hollywood-minded, cinematic popcorn blockbusters that dominate the charts and rake in mountains of publisher-influencing cash. It’s a superb read, I suggest you go read it, that re-affirms an impression I’ve had of Dishonored since it was first shown: that it looks, feels and moves like a 90s PC game in a way so few games today do – because the team behind it are making the game they want to play. Tim played Dishonored at Gamescom and breathlessly declared it the game of the show, a promising outlook and hopefully a measure of the the success that Arkane’s rock ‘n’ roll approach to development might bring. The thing’s out on October 12.